My postings have been sporadic since about the middle of July. It hasn't been for a lack of these to post I've just been busy with other things. That being said, I have a lot of things scanned and a lot more to be scanned. 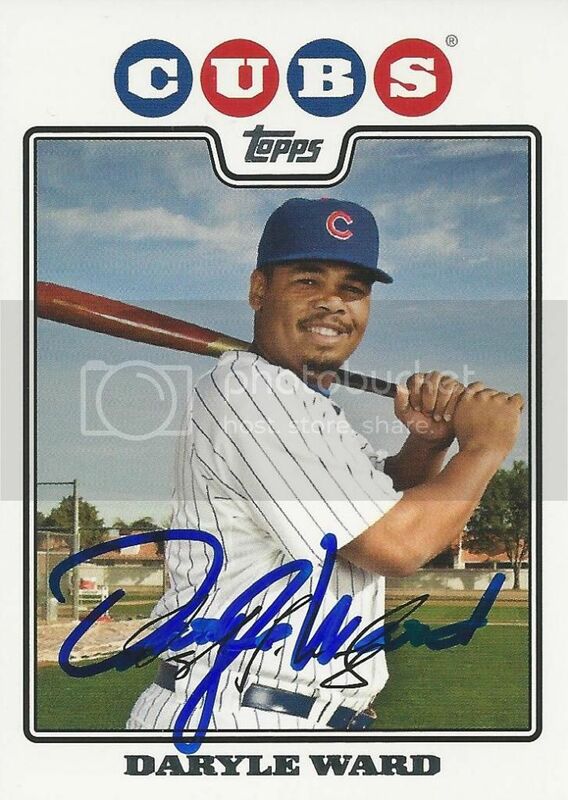 A friend on SCN helped get this Daryle Ward card signed for our 2008 Topps collection. It's from the 55-card Chicago Cubs team gift set. Daryle played for the Cubs during the 2007 and 2008 seasons. Those were his last big league appearances. Since then he's played a few seasons in the independent Atlantic League. This past year he was on the Lancaster Barnstormers. Loot Crate - October 2013 Unboxing!